My name is Donald Straney, Chancellor of the University of Hawaiʻi at Hilo (UH Hilo). We support the intent of SB 2584 to fund the Pacific International Space Center for Exploration Systems (PISCES) to support planetary sustainability technology demonstrations and university-based competitions. This proposal will help stimulate the growth and diversification of our State economy through applied aerospace research, the development, testing and evaluation new technologies that support the exploration of space and the creation of high-tech careers. UH Hilo views the proposal as an opportunity to collaborate with PISCES to provide higher education and career options to the people of our Hawaiʻi Island. We support SB 2584 provided its passage does not replace or adversely impact priorities in our BOR approved budget. Thank you for the opportunity to testify on SB 2584. Aloha. My name is Donald Straney, Chancellor of the University of Hawaiʻi at Hilo (UH Hilo). We support the intent of SB 2585 to fund the Pacific International Space Center for Exploration Systems (PISCES) to support administrative and general tasks, strategic program initiatives, and the preliminary development of the PISCES research and development park. This proposal will help to expand and diversify economic and workforce development opportunities throughout the State by promoting the establishment and growth of new sustainable and green industries, internships, and science, technology, engineering, and mathematics education programs. UH Hilo views the proposal as an opportunity to collaborate with PISCES to provide higher education and career options to the people of our Hawaiʻi Island. We support SB 2585 provided its passage does not replace or adversely impact priorities in our BOR approved budget. Thank you for the opportunity to testify on SB 2585. Aloha. Thank you for the opportunity to submit testimony on SB 2550 which establishes a five-year pilot program at the pharmacy school of the University of Hawaiʻi at Hilo (UHH), under which the school shall be financially self-sufficient and managerially autonomous from the University of Hawaiʻi. The bill establishes a UHH Pharmacy School Special Fund and a Board of Governors for the Pharmacy School; and appropriates an unspecified sum out of the special fund for the purposes of the Act. 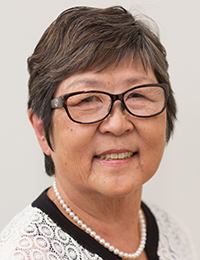 The University of Hawaiʻi appreciates the intent of the bill, which provides an avenue for funding the Daniel K. Inouye College of Pharmacy’s facilities, which is required to maintain its accreditation. The college has met all requirements for accreditation except for having a permanent home. This requirement must be met by June 2014 or the college is in jeopardy of losing its accreditation. The University places a very high priority on maintaining the college, which is the only college of pharmacy in the region. Provisions of the bill would duplicate or replace parts of the University’s functions. The University has an existing mechanism for evaluating new programs. The Board of Governors this bill would establish duplicates the function of the Board of Regents. We believe both provisions are not necessary for the purpose of establishing a self-supporting college. We are concerned that there are uncertainties in the financial aspects of establishing a college as self-sufficient or autonomous. It is not clear that the college is able to be both self-sufficient on its tuition revenues and able to cover the debt service on the full cost of the building the college requires, especially over the 30-year period of the debt. The budget request submitted by the Board of Regents of the University of Hawaiʻi and included by the Governor in his executive budget request has as its first priority for new construction $28M in general obligation bonds and $5M in revenue bonds to construct a permanent home for the college. The University continues to believe this is the best approach to funding this building. We stand ready to discuss alternatives, but at this point, we prefer the Governor’s proposal to the funding mechanism described in this bill. Presented to a building or ground maintenance employee who has made significant contributions to UH Hilo. Presented to a faculty or professional staff member who provides service related professional skills to UH Hilo and their community. Presented to an individual who has made a significant contributions to developing and promoting the mission and spirit of UH Hilo. Click here for nomination instructions and forms on our awards website. The deadline for nominations is Friday, March 21, 2014. For more information contact Gail Makuakāne-Lundin, Interim Executive Assistant to the Chancellor. February 6, 2014 at 2:45 p.m.
My name is Donald Straney, Chancellor of the University of Hawaiʻi at Hilo. We support SB 3092 that appropriates funds for a program coordinator and technical support staff member to complete the necessary planning required for an international flight training center and associated aeronautical training programs at the University of Hawaiʻi at Hilo and Hawaiʻi Community College. Following the approval of SB 1221 in 2013, we engaged a program coordinator to complete the necessary studies and planning for the programs’ implementation. We support SB 3092 provided that its passage does not replace or adversely impact priorities in our BOR approved budget. Thank you for the opportunity to testify on SB 3092. Aloha.